Home » Govt Jobs » Govt Jobs 2015 » jobs for SRF Agricultural Scientist » Jobs In Delhi » Jobs in IARI. » Jobs in Indian Agricultural Research Institute » SRF Agricultural Scientist jobs in Indian Agricultural Research Institute (IARI) in Delhi. 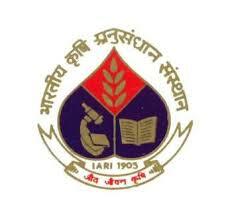 SRF Agricultural Scientist jobs in Indian Agricultural Research Institute (IARI) in Delhi. Qualification: M.Sc. (Agricultural Scientist /Soil Science & Agril Chemistry/Physiology), M.A./M.Sc. (Geography). M.Sc. (Geology/Physics), M.Sc./M.Tech (Remote Sensing & GIS, Geoinformatics) /Civil Engineering with working experience on remote sensing. Desirable Experience in processing hyperspectral remote sensing data/ imaging spectrometry and field survey and plant analysis, programming in MATLAB. R' and statistical analysis. The interview is scheduled on 25th August 2015 between 10.30 and 01.00 pm in the Division of Seed Science and Technology, IARI, New Delhi. The candidate must bring a copy of bio-data giving full particulars along with original certificates, self attested photocopies of all required certificate from matriculation onward and copy of recent passport size and experience certificate in original (if any) with them which can he submitted at the time of interview.